The San Jose Blog: Apigee Preparing for an IPO! Apigee Preparing for an IPO! 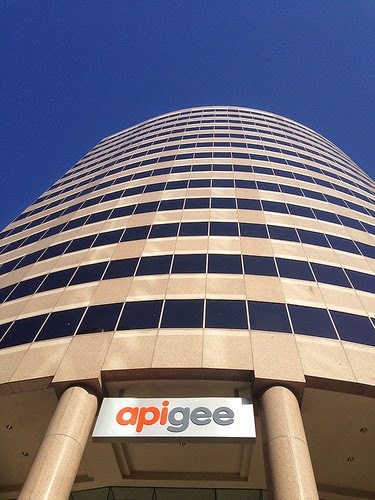 We really scored big-time when Apigee decided to move from Palo Alto to Downtown San Jose. The rapidly expanding software company is reportedly in talks with bankers to file for an IPO (Initial Public Offering) valuing the company at $700 million. What would this mean for San Jose? The IPO would mint many new local millionaires that would be working Downtown. Perhaps some of them will decide to move closer to work, or invest in the area. At minimum, they will be more likely to drop some bucks at local restaurants, bars, and entertainment venues and accelerate our economy. Of course, having another public company headquartered Downtown does nothing but help the area's brand and will attract even more emerging companies.